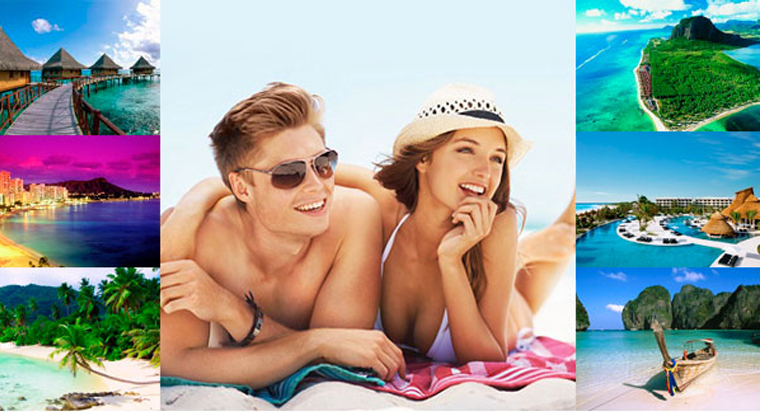 TourBar - Have a fantastic holiday with TourBar - find your special travel companion! Vacation time is coming! ☼ Look for a travel partner in advance! The travel season is kicking off, which means that it's time to start booking those cheap tickets. Are you already thinking about finding a travel companion? No one to go on holiday with? Register now with TourBar and start connecting with potential travel buddies around the world. Our website is a great way to meet handsome men or beautiful girls and find interesting guides or companions, whatever your destination. Picture yourself at a sunny, seaside resort. A warm sea, a sandy beach, beautiful girls in their beach outfits...and, of course, someone by your side to make this wonderful holiday a once-in-a-lifetime experience. We know how to make this dream a reality. A thousand resorts are ready to offer you their fabulous beaches. And we can help you choose travel partners who wants to share your luxurious travel experience. Take it seriously and start meeting new people and know them better right now! It is not easy to choose one from thousands of travel girls and travel buddies who will make your journey fun and unforgettable!